Dental Specialties of Royal Oak consists of some of the finest practitioners from all over the globe. They have joined forces in south-eastern Oakland County to create an office that can address the dental needs of almost any patient, in one convenient location. We offer compassionate, comprehensive, expert care. Our approach to treatment is always planning each case based on the individual. It is our goal to provide each patient with the information to allow them to make the most informed decision before any work begins. 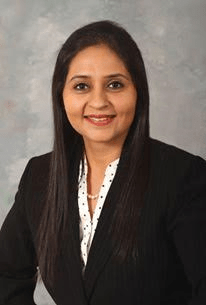 Dr. Dhawan is a graduate of the University Of Detroit Mercy School of Dentistry, where she earned a DDS with highest honors of being on the dean’s merit list throughout. She was also elected into the Omicron Kappa Upsilon honor society, one of the highest honors granted to the nation’s dental students. She completed her orthodontic training at the University Of Detroit Mercy and received both a certificate in Orthodontics and a Master of Science degree. She has had training in the field of Orthodontics In India and also completed a one-year Orthodontic fellowship at the University of Connecticut. She is a member of the American Association of Orthodontists (AAO), Michigan Dental Association (MDA), American Dental Association (ADA), and Great Lakes Association of Orthodontics. She has published articles in The International Dental and Orthodontic Journals. She has also conducted clinical research in the field of “Early treatment”. In her free time, Dr. Dhawan enjoys spending time with her husband, and her two sons’. She enjoys working with “Give kids a Smile” in Detroit and volunteers her services at the temple. 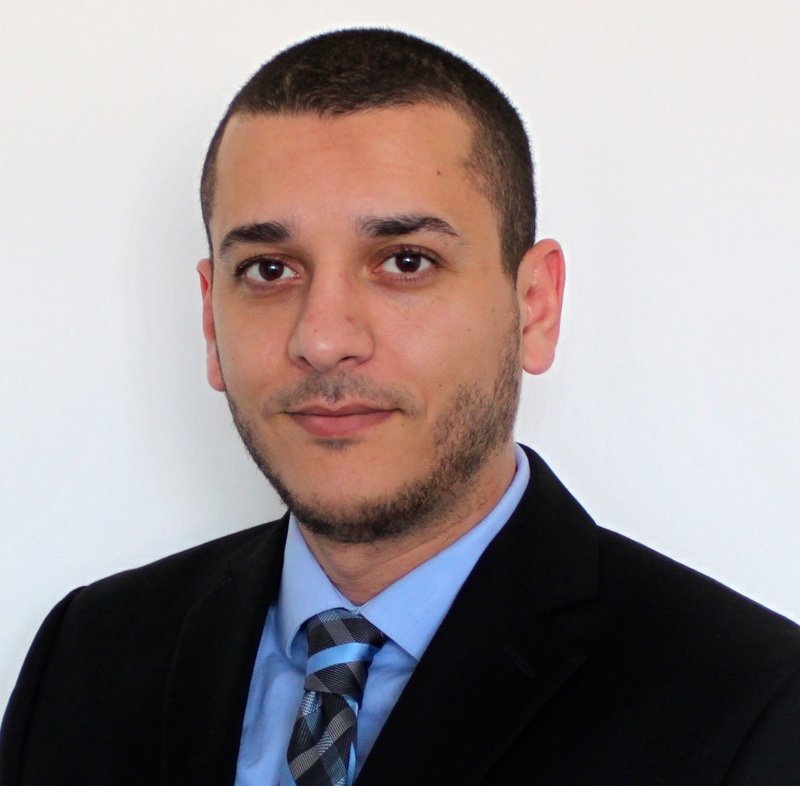 Dr. Hamza Belhaj is a board certified periodontist. He received his Bachelor of Dental Surgery degree from University of Tripoli in 2006 and completed his Periodontics specialty and Masters of Dental Sciences at Rutgers School of Dentistry in 2014. Dr. Belhaj is currently a clinical assistant professor at the University of Detroit Mercy School of Dentistry for both the department of Periodontology and Dental Hygiene and the department of Biomedical and Diagnostic Sciences. He is a member of many dental and periodontal organizations including American Dental Association, Academy of Osteointegration and American Academy of Periodontology. Dr. Belhaj is finishing his Doctor of Dental Surgery degree from University of Detroit Mercy School of Dentistry. Dr. Belhaj is proficiently trained in all aspects of periodontics including non-surgical and surgical treatment of periodontal disease, periodontal bone regeneration and periodontal soft tissue grafting. He also had extensive training in surgical placement of dental implants, hard tissue grafting including sinus augmentation and soft tissue grafting to enhance aesthetics of dental implants. Dr. Belhaj lives with his wife and two daughters. He enjoys maintaining an active lifestyle and spending time with family and friends. Early Treatment – Although orthodontic treatment can be performed at any age, children are easier, faster, and less expensive to treat than adults. Most often orthodontic treatment is used on older children and adolescents whose teeth are still developing. However some types of problems are corrected more readily before all of the permanent teeth have erupted and facial growth is complete. If a child’s permanent lower incisors erupt behind each other, braces may be required at a young age. Crossbites are usually treated early because they can interfere with biting and chewing. Early treatment also is used when thumb- or finger-sucking has affected teeth positioning. Comprehensive treatment – Comprehensive Orthodontic Treatment is the most common form of orthodontic treatment patients receive to correct problems. In most cases, braces are added to the upper and lower teeth to correct orthodontic problems involving alignment of teeth, proper jaw function and how the upper and lower jaw fit together. The objective of comprehensive treatment is to correct each problem and achieve the best bite possible for each patient during one single phase. Treatment consists of the placement of the appliance, adjustments and follow-ups, removal of the appliance, construction of the retainer and any follow-up treatment needed to maintain the desired anatomical and aesthetic results. Ceramic braces – Ceramic braces are the brackets that are the same size and shape as metal brackets but are “tooth” colored to blend in more. Ceramic braces can be a great alternative to metal braces if you keep them well. Ceramic braces are a lot less noticeable then metal braces and move teeth much faster than clear plastic aligners do. Implant Placement – A dental implant is an artificial tooth root that a periodontist places into your jaw to hold a replacement tooth or bridge. Dental implants are an ideal option for people in good general oral health who have lost a tooth or teeth due to periodontal disease, an injury, or some other reason. Dental implants are so natural-looking and feeling; you may forget you ever lost a tooth. Under proper conditions, such as placement by a periodontist and diligent patient maintenance, implants can last a lifetime. Sinus lift and Bone Grafting Procedures – A sinus lift, sometimes called a sinus augmentation, is surgery that adds bone to your upper jaw in the area of your molars and premolars to make it taller. The bone is added between your jaw and the maxillary sinuses, which are on either side of your nose. To make room for the bone, the sinus membrane has to be moved upward, or “lifted.” A sinus lift usually is done by an oral and maxillofacial surgeon or a periodontist. When teeth are lost, the “alveolar” bone that previously housed them begins to dissolve away in a process called “resorption.” Depending on the rate of resorption, the remaining bone may be insufficient to replace the missing tooth with an implant. If the missing tooth is to be replaced with a fixed bridge, the prosthetic tooth (“pontic”) may look artificially large if the bone and gum tissue (“gingiva”) have resorbed significantly. One solution to this dilemma is to “graft” new bone onto the site. This process is sometimes referred to as “site development”, which refers to the fact that proper bony and gingival contours need to be re-established before ideal tooth replacement can be done. There are several ways of doing this. First, the bone resorption can be minimized by packing the tooth socket with powdered bone graft material at the time of tooth removal. Bone grafting is prescribed to prevent the loss of tooth supporting (“alveolar”) bone following tooth removal, and to re-establish the height (limited) and width of alveolar bone that has already been lost. This is especially important if a patient’s restorative treatment plan includes fixed bridgework, or dental implants. Cosmetic periodontal procedures – A gingival graft (also called gum graft or periodontal plastic surgery) is a generic name for any of a number of surgical periodontal procedures whose combined aim is to cover an area of exposed tooth root surface with grafted oral tissue. The covering of exposed root surfaces accomplishes a number of objectives: the prevention of further root exposure, decreased or eliminated sensitivity, decreased susceptibility to root caries and improved cosmetic appearance. These procedures are usually performed by a dental specialist in the field of gingival tissue, generally periodontist. Crown Lengthening is a procedure to remove the excess gum tissue, exposing more of the “crown” of the tooth. The gum line is then sculpted (or sutured) to create the right proportion between gum tissue and tooth surface. This sets the stage, allowing your new veneers or crowns to have the correct length and shape. Reasons for Crown Lengthening: This procedure is for patients who feel their teeth are too short (known as a gummy smile) or their gum line is uneven. Scaling and Root Planning – The objective of scaling and root planning, otherwise known as conventional periodontal therapy or non-surgical periodontal therapy, is to remove or eliminate the etiologic agents which cause inflammation: dental plaque, its products and calculus, thus helping to establish a periodontium that is free of disease. This procedure helps the gum tissue bounce back from deep pockets. It will help restore a health mouth and smile.